Summary: High schooler Chuck Taylor knows his OCD is out of control. The weird routines that he relies on to keep himself together are scaring everyone off. 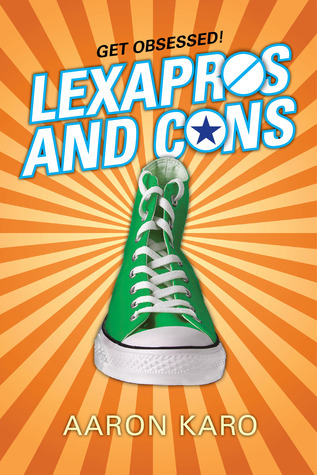 Yes, he shares a name with the icon behind the coolest shoes in the world—but even he knows his complicated system for which pair of "Cons" he’s going to wear on which day is completely nuts. The shrink his parents make him see isn’t helping, partly because her patient only pretends to take the drug she’s prescribed, and partly because he doesn't like the fact that she wears sneakers in their sessions. Wow, this one looks really interesting! My son has OCD. I understand it well. Please enter me! Thanks, Cindy! Never even heard of this but looks wonderful!